6 Bitcoin conspiracy theories: did the CIA create BTC, or 4 tech giants? How many Bitcoin conspiracies are out there? 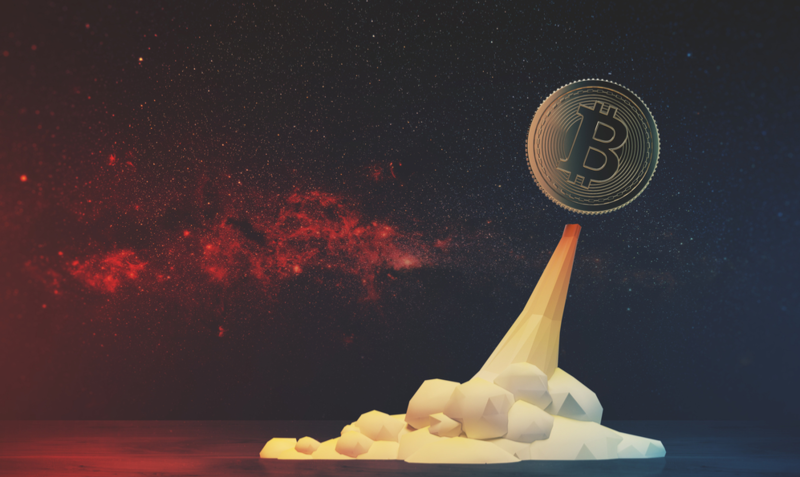 Are powerful forces in play that control Bitcoin's path on a global scale? Did aliens visit us to give us 'the Bitcoin'? Whatever we might think about these incredible stories, one thing is for certain, Bitcoin conspiracy theories are here to stay. Read on to find out more about some of the most compelling conspiracy theories floating around. 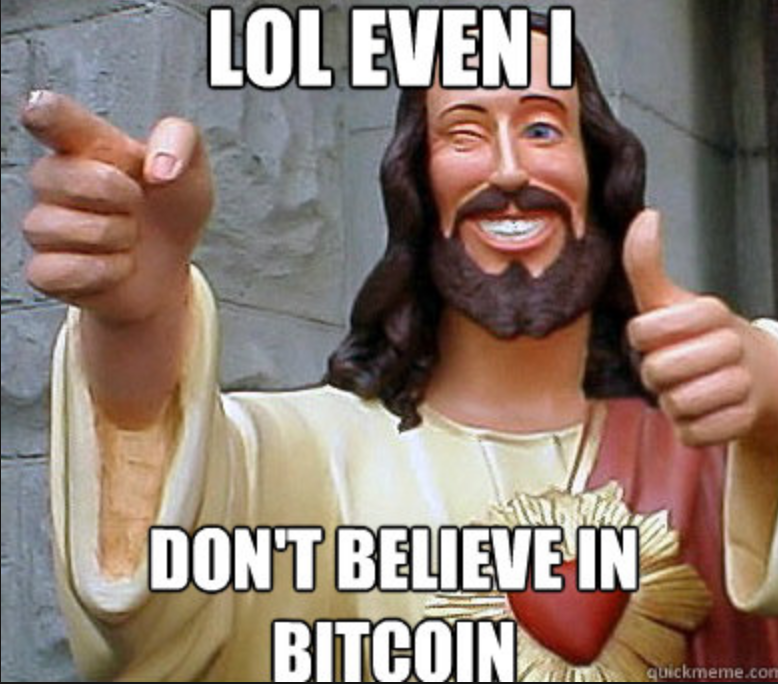 Given the fact that the founder of Bitcoin remains anonymous till this day, conspiracy theorists from all over the world are always quick to share their theories about who is behind Bitcoin and what the agenda behind the number one cryptocurrency really is. Let us take a moment to investigate the top 6 Bitcoin conspiracies. 1. Bitcoin is created by the CIA ... or was it the NSA? One of the more persistent conspiracy theories out there, seems to be the one where it is claimed that the US intelligence services created Bitcoin to send untraceable funding to top-secret international CIA and MI5 missions. Natalya Kaspersky, a cybersecurity expert and founder of Kaspersky Lab, a multinational cybersecurity and anti-virus provider headquartered in Moscow, Russia, collaborated on this theory during one of her presentations in the beginning of 2018, when she said that Bitcoin is a project of American intelligence agencies, which was designed to provide quick funding for US, British and Canadian intelligence activities in different countries. 'The technology is privatized', she said. 'Just like the Internet, GPS and TOR. In fact, it is dollar 2.0. Its rate is controlled by the owners of exchanges.' During the same presentation she also claimed that Satoshi Nakamoto, was in fact the codename for a collective of US cryptographers. Adding more fuel to this 'conspiracy theory fire' is the fact that Satoshi Nakamoto, roughly translates to 'Central Intelligence' in Japanese. Roberto Escobar, the younger brother of deceased drug kingpin Pablo Escobar, is another infamous character who buys into this conspiracy theory by saying that the world would eventually learn that Bitcoin was indeed a creation of the US government. Much like the CIA, the NSA has the capability, the motive, and the operational capacity to create Bitcoin. According to Bitcoin conspiracy theorists, the NSA has access to vast teams of cryptographers, the biggest and fastest supercomputers, and they would definitely see the need for creating a all powerful digital currency. They might have been instructed to create the new anonymous digital cash by their friends at the Fed, or by powerful banking families. Fuelling this theory even more is a paper published by the NSA in 1996, called: How to make a mint: The cryptography of anonymous digital cash. The theory that the NSA created Bitcoin has actually been around for years. People continue to question why Bitcoin uses the SHA-256 hash function, which was designed by the NSA and published by the National Institute for Standards and Technology. The fact that the NSA is tied to SHA-256 leads many conspiracy theorists to believe that the NSA has created a backdoor to the hash function that no one has ever identified, which allows it to spy on Bitcoin users. For this one we have to dig deeper into the bible, more specifically, into Revelations, Chapter 13, in the New King James Bible. This verse discusses the end of the world, explaining the Mark of The Beast. In the story, all people must have the Mark of the Beast, which people needed in order to buy food and live in this cashless dystopian society. As Bitcoin undeniably represent a shift to a cashless society, many find it highly likely that Bitcoin is indeed the devil’s pawn. Of course, it wouldn't be the first time when religious fanatics go against all scientific and mathematical advancements throughout history. Just ask world-renowned Italian astronomer, mathematician and physicist of the seventeenth century, Galileo! The cover shows a phoenix wearing a gold coin which has the number '2018', the word 'ten' and the number '10'. To many conspiracy theorists this meant that 10/10/2018 was going to be a significant date for Bitcoin. The actual story goes on to say that 30 years from now, Americans, Japanese, Europeans, and people in many other rich countries, and some relatively poor ones will probably be paying for their shopping with the same currency. Even though, we know by now that the numbers 10/10/2018 on the cover of the magazine had absolutely no relation to any predicted event, we can say that the prediction made by the Rothschild’s Economist magazine about one world currency will be spot on, one day soon. According to this 'not too difficult to believe' conspiracy theory, governments around the world are secretly buying up all of the Bitcoin in the world. Already in 2013 this conspiracy theory surfaced which claimed that major governments such as the US and China were in an tight race to acquire Bitcoins. It relates directly to the rumors that 'those in control' such as the 'Illuminati', members of the Bilderberg group, the Federal Reserve, and Mastercard, conspire to control the price of Bitcoin to undermine private investor confidence so that they would eventually sell at the lowest price to the richest 0.1%. This would then in turn allow the richest 0.1% to push the Bitcoin price to staggering heights and beyond, and therefore maintaining the 'Status Quo of the Rich' at the top of the pyramid and the 'commoners' at the bottom 'where they belong'. There is of course no possible way to prove precisely how much Bitcoin governments are supposedly buying, or if indeed there are underground secret societies who are in control of our daily lives. The 16th century French apothecary and world-infamous prophet, Michel de Nostredame, is believed by many to have correctly predicted a variety of world events throughout history. 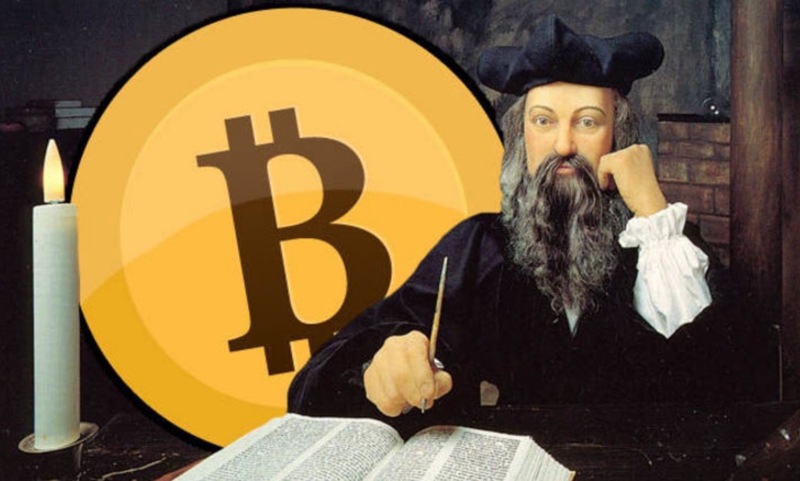 Some conspiracy ‘truthers’ are now suspecting that Nostradamus knew about the Bitcoin boom at the end of 2017 all along. These cryptic passages written by Nostradamus in the 16th century are the reason why those who religiously follow the works of Nostradamus, now think that the book may contain hints and clues about the mysterious creation of Bitcoin. One of the more easy-going conspiracy theories must be that a group of four major Asian companies are behind the creation of the digital currency, specifically Samsung, Toshiba, Nakamichi, and Motorola. The name of the Bitcoin creator Satoshi Nakamoto can be created by using the first few letters from each of the company’s names: 'sa' from Samsung, 'toshi' from Toshiba, 'naka' from Nakamichi and 'moto' from Motorola. None of the four tech companies, however, have officially responded to this 'doozy' of a conspiracy theory. Read more: Who is Satoshi Nakamoto? So, there you have it, a wonderful selection of crazy theories surrounding the world's most popular digital currency. Let us know in the poll below, which one of these theories might be closest to the truth.